Our fully-equipped quilting and scrapbooking central Iowa retreat center in Conrad, Iowa, is ready and waiting for you and your friends! For complete retreat package details and pricing, download our retreat brochure. Hen & Chicks Studio fully-equipped quilting and scrapbooking retreat center, known as The Nest, is perfect for your next girlfriend gathering. Located just over an hour from Des Moines, Iowa, the Nest can be rented seven days a week and can even be rented by one person. 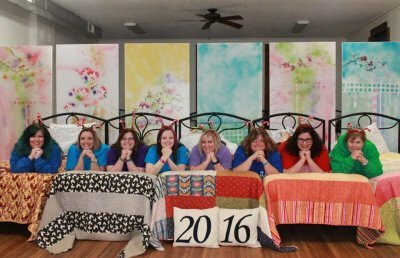 So, start planning your next creative getaway at The Nest at Hen & Chicks Studio in central Iowa for your next quilting retreat or scrap booking retreat. We also host retreats, such as the Come Create with Me day-only events. Check our classes page for upcoming dates.